Oval to elongate-oval, plant-dwelling mites with fewer than 20 pairs of dorsal-shield setae (Fig. 167); dorsal shield weakly sclerotized but covering the idiosoma and undivided; pedipalpal tarsus with a specialized two-pronged apotele. Phytoseiids are of considerable economic importance; several species are of significance as predators of small invertebrate pests, especially gall mites and spider mites. 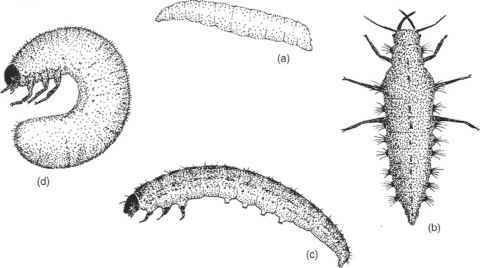 EXAMPLES: Amblyseius spp., Typhlodromus spp., Phytoseiulus persimilis (two-spotted spider mite predator).